WE’RE ENTERING CIDER season, people. Is there anything more summer-y than sitting outside with a glass of cider? Didn’t think so. But it isn’t all about Bulmers anymore. Over the past few years, the craft cider scene has begun to develop in Ireland and cider connoisseurs are now spoiled for choice for quality Irish cider. Here are some you need to seek out this summer. Carlow Brewing Company has already made great inroads in the craft beer market with O’Hara’s, so it makes sense that they have decided to try their hand at cider. Falling Apple is the brewery’s first foray into the cider market and tastes like summer in a bottle — pleasantly bitter and not too sweet. Made in Drogheda, Dan Kelly’s Cider is on the rise, having recently secured a deal to have it stocked in a major German outlet. Fortunately for us, it’s widely available in Ireland and the perfect bevvy for sunshiney days. 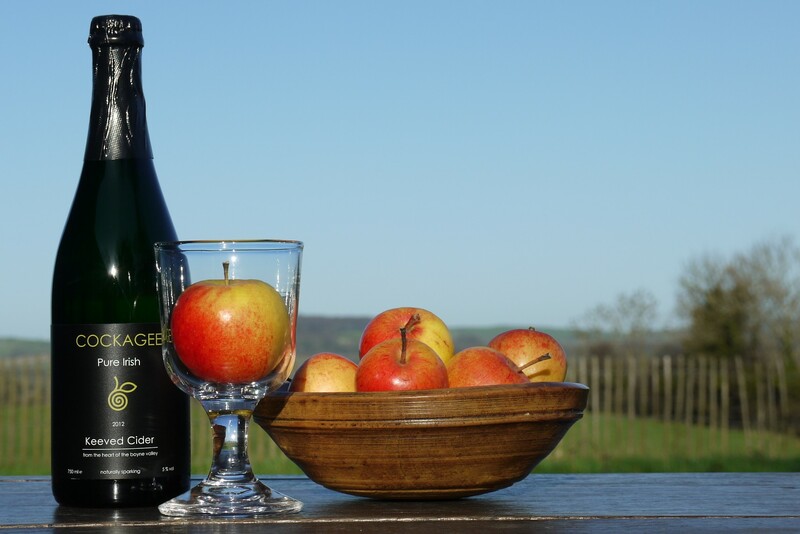 Craigies Irish Cider is brewed from Wicklow with apples sourced from Waterford, Tipperary, Cork and Kilkenny. Now that’s what we call cross county cooperation. Craigies currently have two types of cider available, Ballyhook Flyer and Dalliance, and we hear both are lovely with cheese. As if the prospect of cider on a summer’s day wasn’t enticing enough, Tempted? Cider went all subliminal on us and actually named itself Tempted. Just to toy with our emotions and tempt us when we really shouldn’t be tempted. It might look it’s suffering from a severe case of notions on the surface, but we can assure you that Cockagee Pure Irish Cider is Meath’s finest export since Pierce Brosnan. This award-winning cider is the only Irish cider to be made through the ancient technique of keeving. So now. Stonewell Cider’s slogan is “Discover The Elixir” — a suitably witchy slogan for something that tastes like it could feasibly add years to your life. Ideal for balmy days. Those who frequent Temple Bar Food Market are probably acquainted with the produce of Llewellyn’s Orchard, a family-run business based in Lusk, Co. Dublin. Aside from cider vinegar and apple juice, the orchard also makes its own cider. There’s Bone Dry Cider for those with a sophisticated palate and Medium Dry Cider for those who like their ciders a little sweeter. Both are 6% ABV and both are good bets. Named after the first woman in the world to be issued a professional jockey’s licence to race against men, it prides itself on making its cider from fresh juice, as opposed to juice concentrate. If you fancy getting experimental, their website even has recipes for cider cocktails. Email “9 Irish craft ciders to try before you die”. Feedback on “9 Irish craft ciders to try before you die”.